On June 30, Russia saw a launch of a first crypto investment bank aimed to hold initial coins offerings (ICO), while the government is is expected to pass its major crypto and blockchain-related regulatory bill this week. Meanwhile, there’s been more news coming from Eastern Europe: last week, Poland’s cryptocurrency group the Polish Bitcoin Association (PBS) complained to the government, blaming fifteen financial institutions in the country for hindering the industry by deliberately denying service to crypto platforms and selectively closing their bank accounts. 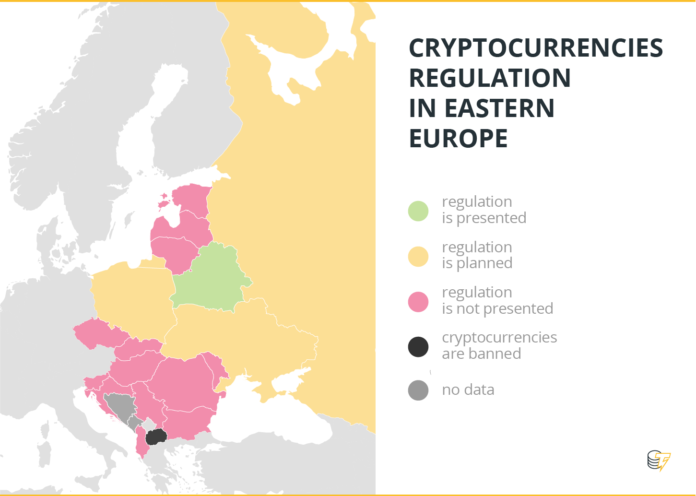 To navigate through the complexities surrounding crypto regulation in the region, here’s a guide covering the majority of Eastern European countries, from Russia to Macedonia. The Russian government has maintained a mixed stance on Bitcoin and cryptocurrencies, proposing legislation to ban it outright, and then retracting those statements. However, once President Vladimir Putin announced his decision to begin crypto regulation, a substantial bill was introduced, which the State Duma has recently approved, in its first reading. The document was expected to enter into force on July 1, although official confirmation is yet to surface. The initiative aims of the document are to “minimize the existing risks of using digital objects for transferring assets into an unregulated digital environment for legalization of criminal incomes, bankruptcy fraud or for sponsoring terrorist groups,” as Pavel Krasheninnikov of the leading political party Edinaya Rossia (United Russia) and head of the Legislative Work committee explained to local media. 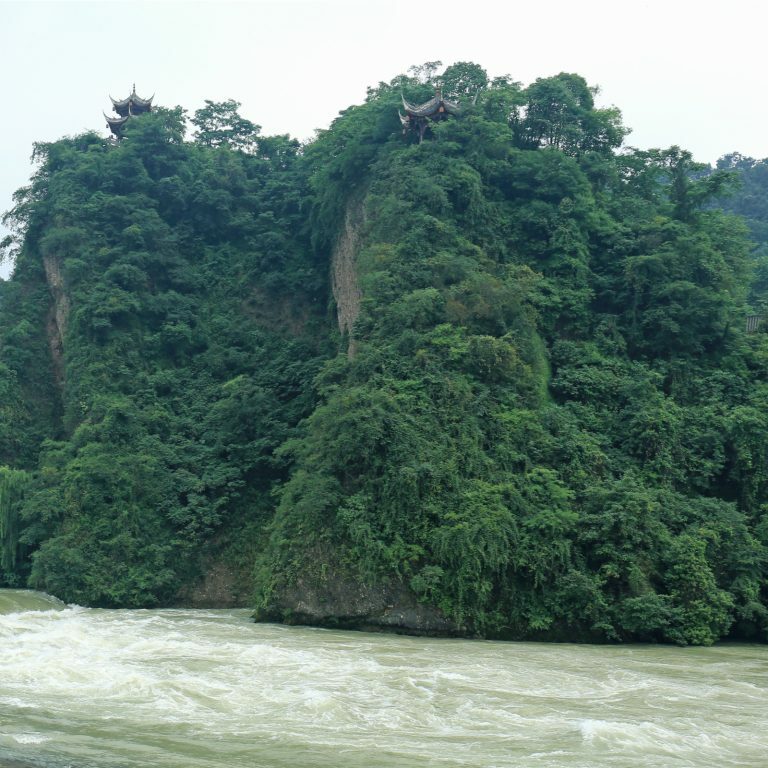 The bill has been criticized by local experts. Thus, Igor Sudets, a member of the Duma’s expert panel on the digital economy and blockchain, even went as far as to say that “no one will want” to launch an ICO in Russia once the document gets fully approved. Previously, the bill suggested that one can’t invest more than 50,000 rubles (around $810) in a single ICO. Even though this limitation has been crossed out from the current edition of the document, the future of ICOs in Russia is still unclear. On May 24, Sberbank, the country’s largest state-owned bank, and the National Settlement Depository (NRD) announced a pilot of the country’s first official ICO using the Bank of Russia’s regulatory sandbox, which should clarify how the ICO market will look like in the country. Similarly, on June 30, Qiwi Blockchain Teсhnologies (QBT), a subsidiary of Russia’s leading payment service provider Qiwi, reportedly launched a crypto investment bank dubbed “HASH”, which will server as a platform for ICOs. According to QBT’s Chief Financial Officer (CFO), the company already works with ten such funds with the largest one having a turnover of around $100 million and is going to provide crypto trading services starting next year, after it obtains the necessary license. By the end of the year, Russia officially completed its first government-level blockchain implementation, as state-run Sberbank teamed up with Russia’s Federal Antimonopoly Service (FAS) to implement document transfer and storage via the technology. On May 16, Sberbank reportedly conducted the first blockchain-based commercial bond transaction in the country. The transaction was completed in partnership with MTS, a major Russian telecoms operator, and the National Settlement Depository (NSD). Poland officially recognizes the trading and mining of cryptocurrencies. However, its views toward crypto shifted from progressive to somewhat skeptical due to questionable, state-funded anti-crypto campaigns on social media. In 2016, the government seemed to lean toward a tolerant approach. The Central Statistical Office of Poland (GUS) stated that the trading and mining of virtual currencies were now seen as an ‘official economic activity,’ and companies involved in this area would be able to get an official registration. However, on February 15, the NBP (National Polish Bank, or Central Bank) admitted to funding a questionable “educational campaign” and enrolled a local YouTube blogger for a anti-crypto sketch. Another Polish financial watchdog, the Financial Supervision Authority (KNF), has recently decided to sponsor more of these social media campaigns. Poland has proven to be quite pro-blockchain. Thus, in January 2018, the Polish Blockchain Technology Accelerator (PATB) revealed that one of its teams was working on the development of a digitized national cryptocurrency in the country, the digital Złoty, dPLN. Krzysztof Piech, founder of dPLN, has confirmed with Cointelegraph that their project is based on blockchain. Moreover, in March, a major Polish bank, PKO Bank Polski, announced their partnership with the blockchain company Coinfirm to provide a DLT-based storage and verification system for bank documents via a tool called Trudatum. Finally, in May, the Polish Credit Office — Biuro Informacji Kredytowej (BIK) — teamed up with UK fintech firm Billon to implement blockchain for customer data storage. Recently, as things have become significantly more peaceful (at least in most parts of the country), reports implying that Ukraine is preparing draft legislation to legalize cryptocurrencies has started to emerge. In January 2018, Ukraine’s security council held a meeting where they “considered a complex of problems related to the uncontrolled circulation of cryptocurrencies” in the country. The Ukrainian government has also referred to crypto as a means for illicit activities, such as weapon trading. In November, local police raided the Kvazar semiconductor plant in Kiev, where a large mining operation was located. After confiscating the equipment, the law enforcement reported that it found connections to Russian banks and argued that profits were allegedly used to sponsor separatists in the regions of Donetsk and Lugansk. Similarly, one month prior to that, armed men from Ukraine’s Security Service broke into the Odessa offices of ForkLog, a major Russian-language crypto news site, and seized its computers and hard drives, claiming that they were using cryptocurrencies to fund separatists in Donbas. While the National Bank of Ukraine (NBU) said in January that it was “considering” introducing a digital version of its national currency, the hryvnia, that is not based on blockchain, they also noted that the possibility of basing the proposed e-hryvnia on blockchain was still up for discussion. Separately, in August 2017, the country’s Agency for E-Governance launched a pilot scheme to sell property to foreign investors on the blockchain. “Our ambition is for Ukraine to be one of the world’s foremost nations in establishing a comprehensive blockchain ecosystem, and the real estate sector forms an important part of our overall blockchain strategy,” Agency head Oleksandr Ryzhenko argued in a press release. Previously, Bitfury Group announced its partnership with the government of Ukraine, aimed to bring a range of blockchain solutions to the electronic services of the latter. Also, Ukraine has reportedly hosted the world’s first blockchain-based state auction. In addition, Belarus provides a lengthy tax holiday, as the declaration of income from cryptocurrency operations is optional until January 1, 2023. Much of the decree revolves around an economic zone called the High-Tech Park (HTP), a local version of Silicon Valley, which aims to become the mecca of the cryptocurrency operators in the country. Nevertheless, Cointelegraph has previously reported that Belarusian banks do not currently have the infrastructure to handle cryptocurrencies, which makes the existence of HTP somewhat pointless at the moment. While Estonia puts a strong priority on developing and supporting crypto technologies, the state’s approach to cryptocurrencies seems more traditional. In 2016, the Supreme Court of Estonia declared mediation of Bitcoins an economic activity subject to anti-money laundering supervision. That implies that all parties involved in crypto must follow AML and KYC procedures. Further, the Estonian Financial Supervisory Authority (EFSA) argued that tokens, depending on their structure, might be considered as securities. Estonia has been maintaining a vast digitization project. In 2014, it reached a new level, as the government’s e-residency program was conducted. Essentially, it allowed any individual around the world to file an online application and become a virtual Estonian citizen. As digital citizens, they get access to the online platforms that Estonia’s economy are based on and to the same online public services that domestic citizens use. The adoption of blockchain, in turn, allowed Estonia to introduce an online voting system during national elections, though only physical residents are allowed to vote under it. The country is also involved in various public service projects that are powered by blockchain, including health services. After Draghi’s statement, the government of Estonia reportedly stopped the development of Estcoin. Nevertheless, the state might start charging capital gains tax on crypto transactions in the future, a Finance Ministry official said last month. The rate of capital gains tax in the country is currently 20 percent. The plan, however, would require changing current Latvian taxation laws. Regulation for cryptocurrencies had also been discussed in the Latvian parliament. The Financial and Capital Market Commission (FCMC) highlighted that transactions and investments related to cryptocurrencies are extremely risky. The Latvian government has reportedly set up a workgroup that should come up with proposals on how cryptocurrencies might be regulated by July. Latvia is part of Memorandum of Understanding (MOU), a coalition between the ministries for Estonia, Latvia and Lithuania with a goal of expanding and developing their economies. The actions include the promotion of blockchain to foster innovations in the capital markets. The Bank of Lithuania has reportedly begun looking into cryptocurrencies, initiating a dialogue between commercial banks, government regulators, and crypto traders. For that purpose, the central bank has held a crypto roundtable. On October 10, 2017 Lithuania’s central bank issued a document clarifying its position towards ICOs and cryptocurrencies. In it, they stated that financial market participants should separate their financial activities from those associated with virtual currency. Lithuania is part of Memorandum of Understanding (MOU), a coalition between the ministries for Estonia, Latvia and Lithuania with a goal of expanding and developing their economies. The actions include the promotion of blockchain to foster innovations in the capital markets. The Czech Republic has seemed to lean toward a liberal approach to cryptocurrencies. Thus, in 2017, the Czech National Bank claimed that cryptocurrencies do not pose a threat to the conventional banking system. The agency released an announcement dubbed “Don’t be afraid of Bitcoin,” where it argued that fiat currencies are still most suitable for commerce, and the traditional monetary system can’t be marginalized by cryptocurrencies, as they don’t have same levels of price stability. However, by the end of 2017, the the Finance Ministry introduced an anti-money laundering law restricting Bitcoin. The bill requires crypto exchanges to reveal the identity of customers, so that they will no longer be able to “hide behind fake names or nicknames.” The Finance Ministry argued that virtual currency might be linked to criminal activity and tax fraud. Currently, Bitcoin and altcoins are not legal tender in Croatia, but can be legally used. Reportedly, there’s a capital gains tax on cryptocurrencies (12 percent and a surtax of 18 percent for Zagreb), however there are no clear official guidelines on how they should be paid. Nonetheless, things are likely to change in the near future. In February, a self-regulatory organization called Croatia’s Blockchain and Cryptocurrency Association (UBIK) emerged. Its goal is to create a crypto community, educate the public, and assist in developing regulation in Croatia. The governing board of UBIK has met with the Central Office of Tax Administration in Croatia to discuss the issues covering the taxation of crypto as a capital gain, the regulations of ICOs, and the business of crypto mining companies. Purportedly, the government agency showed a willingness to openly participate in finding solutions. The legal status of cryptocurrencies in Bulgaria is unclear. According to a local blog, the Bulgarian National Revenue Agency has stated that personal income from trading virtual currencies must be declared in the annual tax return, with the tax being 10 percent, as in the case of sale of any other financial assets. This year, Bulgarian police performed a crackdown on OneCoin, a shady altcoin that promotes itself as a “centralized model [that] protects its members’ safety and ensures compliance on AML [anti-money laundering],” although it does not fit the definition of a cryptocurrency, for it is not decentralized, does not run on open-source software, and does not have a public ledger. The police raided OneCoin offices located in Sofia at the request of the prosecutor’s office in Bielefeld, Germany, seizing documents and servers. Previously, at the end of last year, the Bulgarian crime enforcement agency and the Southeast European Law Enforcement Center did an undercover bust of an underground crime network, seizing enough Bitcoin to settle a fifth of its national debt. Back in 2013, the National Bank of Slovakia stated that Bitcoin “does not have legal attributes of a currency,” and hence are not subject to their authority. Recently, there’s been more news on the status of cryptocurrencies in the country. In early January, Slovakia’s finance minister Peter Kazimir, said the state wanted to start paying attention to the taxation of cryptocurrencies. The ministry was quick to act, as in late March, days ahead of the April 3 filing deadline, the agency issued a broad guidance, adding that “any type of exchange, for example, an exchange of a virtual currency for an asset” or its “exchange for a service rendered or its paid transfer, including its exchange for another virtual currency” is considered to be a taxable sale, as Bloomberg reports. Those struggling to meet the filing deadline were reportedly given an opportunity to apply for a three-month extension. There’s no clear regulation for cryptocurrencies in Slovenia at the moment. In October 2017, however, the Slovenian Financial Stability Board issued a warning to Slovenians, advising them to be cautious when investing in ICOs and digital currencies, as there are no laws policing those areas. In October 2017, the government of Slovenia announced its plans to position the country as the leading destination of blockchain technology in the European Union, while also studying the potential applications of the technology in public administration. In his speech at the Digital Slovenia 2020 in mid-October 2017, Prime Minister Miro Cerar stated that the country’s regulatory agencies and ministries were already studying blockchain. He also claimed that the government was offering its full support for the technology. This year, the United Nations Development Program (UNDP) is going to launch a blockchain-based project to power the Technical University of Moldova with cryptocurrency-funded renewable energy, as Reuters reports. Essentially, the initiative will allow people to buy solar cells using SolarCoin, a cryptocurrency launched by a blockchain startup ElectriCChain, and then rent them out to the university. Moreover, Moldova was planning to fight child trafficking, a major problem in the country, by using blockchain. In September, digital identification experts from the U.N. Office for Project Services (UNOPS) and other locals met up to discuss possible ways of using the technology to protect children from exploitation. “It’s a challenge for the banking system because this area isn’t very well regulated and I believe that this should happen. It’s an area in which lots of money circulates, but it is also a new technology. There are no clear official guidelines on the subject of cryptocurrency. However, the state apparently expects crypto users to pay taxes from mining and trading, and they are responsible to pay a charge of 22 percent for health contribution, and a 15 percent Personal Income Tax. In March 2017, the Hungarian government was going to pass a new criminal process law that would make it possible to confiscate virtual currencies from suspects in accordance with the international AML (anti-money laundering) regulations. The bill was criticized by experts, as they deemed it would legalize mass surveillance. However, there has been no news on the document ever since. In February, a Hungarian blockchain-based cryptocurrency named Korona was presented. Its developers claimed that 90 percent of cryptocurrencies were pseudo currencies, while Korona is actually suitable for transactions. However, the currency doesn’t seem to be a national one, as the team behind it chose to operate in Switzerland. NBS also asked the Finance Ministry to weight in with a comment. The agency, however, has remained silent on the matter. There’s a Belgrade-based group called Serbian Blockchain Initiative that aims “to create an environment where blockchain technology can thrive.” However, there’s no clear information on their achievements at the moment.